Married Name Her married name was Foley. Dorothy McCauley married Steve Foley. Dorothy McCauley was born on 9 June 1917. She was the daughter of Elgie McCauley and Ruby Kintz. Dorothy McCauley died on 6 August 2016 at age 99. Steve Foley married Dorothy McCauley, daughter of Elgie McCauley and Ruby Kintz. Married Name Her married name was Froehlich. Lucille McCauley married Gerhart Froehlich. Lucille McCauley was born on 3 May 1922. Lucille McCauley died on 25 March 2017 at age 94. Gerhart Froehlich married Lucille McCauley, daughter of Elgie McCauley and Ruby Kintz. Gerhart Froehlich was born on 15 March 1918. He died on 20 March 2002 at age 84. Married Name 17 June 1944 As of 17 June 1944,her married name was Markley. Norma Adell McCauley was born on 12 April 1923 at Gary, Indiana. Norma Adell McCauley married Conrad Carl Markley, son of Otto Milo Markley and Irene M. McCluskey, on 17 June 1944. Norma Adell McCauley died on 16 August 2015 at age 92 Norma Adell Markley, age 92, of Prairie du Sac, passed away peacefully on Sunday, August 16, 2015, at the Sauk County Health Care Center surrounded by her family. She was born on April 12, 1923 in Gary IN, the daughter of Elgie and Ruby (Kintz) McCauley. She was united in marriage to Conrad Carl Markley on June 17, 1944. They celebrated 71 years of marriage. They farmed most of their lives. They started in the Hillpoint area, then in 1962 they moved to a farm in Honey Creek Township near the Tower Rock School in rural Prairie du Sac. She cherished her time spent with her family, playing cards, quilting, and was part of the Pine Grove Homemakers. Norma is survived by her husband, Conrad; 3 children: Ron (Karen) Markley, Prairie du Sac, Connie (Joe) Meyer, Reedsburg and LaVonne (Fred) Reinecke, Rock Springs; 11 grandchildren: Brian (Tammy) Markley, Tim (Lesley) Markley, Greg (Liz) Markley, Joe Jr (Wendy) Meyer, Margo (John) Solchenberger, Jon (Laurie) Meyer, Doug (Amy) Reinecke, Jenny (Bob) Liegel, Penny (Doug) Wieczorek, Marcus (Melissa) Reinecke, and Peggy (Matt) Nolden; 25 great-grandchildren and 7 great-great grandchildren. She is further survived by two brothers; Wilfred (Ella) McCauley, Ripon and Vaughn (Betty) McCauley, Reedsburg; four sisters, Dorothy Foley, Richland Center, Genevieve Hilleshiem, Sparta, Lucille Froehlich, Lake Delton, and Janice (Ike) Keil, Bellevue, IA; one sister-in-law: Caroline McCauley, Hillpoint; many nieces and nephews; other relatives and friends. She was preceded in death by her parents; her brothers, Gordon and Milford McCauley; brothers-in-law, Steve Foley, Gerhart Froehlich, Pat Hilleshiem, Galo Markley, Eugene Markley, LaVerne Markley and Don Couey; sisters-in-law, Sonja McCauley, Elaine Fry, and Lorraine Couey. Funeral services will be conducted at 11:00 a.m. on Thursday, August 20, 2015 at St. John's Lutheran Church in Hillpoint with Pastor Richard Agenten officiating. Burial will be at St. John's Cemetery, rural Loganville. A visitation will be held on Wednesday from 4-7 p.m. at the Hoof Funeral Home in Reedsburg and from 10:00 a.m. until the time of the service on Thursday at the church. In lieu of flowers, memorials to St. John's Lutheran Church would be appreciated. The Hoof Funeral Home is serving the family. Conrad Carl Markley was born on 24 February 1923. He was the son of Otto Milo Markley and Irene M. McCluskey. Conrad Carl Markley married Norma Adell McCauley, daughter of Elgie McCauley and Ruby Kintz, on 17 June 1944. Conrad Carl Markley died on 11 December 2018 at age 95 Conrad C. Markley, age 95, of Reedsburg passed away peacefully on Tuesday, December 11, 2018 at the Reedsburg Area Medical Center surrounded by his family. He was born February 24, 1923 in Richland County; the son of Otto and Irene (McCluskey) Markley. He was united in marriage to Norma Adell McCauley on June 17, 1944. They celebrated 71 years of marriage. Conrad took pride in being a cheesemaker at Gillingham, WI. They farmed most of their lives. They started in the HIllpoint area, then in 1962 they moved to a farm in Honey Creek Township near the Tower Rock School. He enjoyed the time spent with his family and playing cards. He is survived by his three children; Ron (Karen) Markley, Prairie du Sac, Connie Meyer, Reedsburg, and LaVonne (Fred) Reinecke, Rock Springs. 11 grandchildren; Brian (Tammy) Markley, Tim (Lesley) Markley, Greg (Liz) Markley, Joe Jr. (Wendy) Meyer, Margo (John) Solchenberger, Jon (Laurie) Meyer, Doug (Amy) Reinecke, Jenny (Bob) Liegel, Penny (Doug) Wieczorek, Marcus (Melissa) Reinecke, and Peggy (Matt) Nolden. 27 great-grandchildren and 11 great-great grandchildren. Further survived by four sisters-in-law; Ella McCauley, Ripon, Caroline McCauley, Richland Center, Betty McCauley, Reedsburg, Janice (Ike) Keil, Bellevue, IA. As well as many nieces, nephews, other relatives, and friends. He was proceeded in death by his wife Norma on August 16, 2015, his parents, son-in-law Joe Meyer Sr., sisters Elaine Fry and Lorraine (Done) Couey; brothers Galo, LaVerne and Eugene Markley; brothers-in-law Wilfred, Milford and Vaughn McCauley; brothers-in-law and sisters in law Dorothy (Steve) Foley, Genevieve (Pat) Hilleshiem, Lucille (Gerhart) Froehlich, Gordon (Sonja) McCauley. Funeral services for Conrad Markley will be conducted on Monday, December 17, 2018 at 11:00 A.M. at St. John's Lutheran Church in Hillpoint with Pastor Daniel Lewig officiating. Burial will be in St. John's Cemetery in the Town of Westfield. A visitation will be held on Sunday, December 16, from 2 P.M. to 5 P.M. at the Hoof Funeral Home in Reedsburg and Monday from 10 A.M until the time of the service at the church. In lieu of flowers, memorials to St. John's Lutheran Church would be appreciated. The family would like to extend their sincere gratitude to all the nurses and staff at Casa de Oakes Assisted Living for the excellent and attentive care during Conrad's stay. Many friendships were made and he enjoyed playing BINGO and other activities. We would also like to thank Dr. Collins and the staff at the Plain Clinic for his wonderful care. The Hoof Funeral Home is serving the family. Gordon McCauley married Sonja L. Einert. Gordon McCauley was born on 17 January 1929. He was the son of Elgie McCauley and Ruby Kintz. Gordon McCauley died on 8 April 2004 at age 75. Married Name 29 May 1929 As of 29 May 1929,her married name was Gudenschwager. Norma Louise Werth was born on 27 February 1909 at Wisconsin. She was the daughter of Arthur Werth and Lydia Blank. Norma Louise Werth married Erich Gudenschwager, son of Frank F. Gudenschwager and Emma Harnish, on 29 May 1929. Norma Louise Werth died on 21 January 2007 at age 97 Norma L. Gudenschwager, age 97, passed away Sunday, Jan. 21, 2007, at the Don and Marilyn Anderson HospiceCare Center in Fitchburg. The daughter of Arthur and Lydia (Blank) Werth, Norma was born on Feb. 27, 1909, in Hillpoint. Norma married Erich Gudenschwager May 29, 1929, in St. Johns Lutheran Church in Hillpoint. They moved to Madison in 1943 and became members of Immanuel Lutheran Church. They were very active in their church and Norma created more than 40 banners. She contributed and enjoyed many hours of Dorcas Society, Women's Guild and Adult Club. Norma worked at Oscar Mayer and retired from Kroger Grocery, Inc., after 25 years. She will be dearly missed by her many loving friends and relatives. She will always be remembered for her kindness and generosity to all. Norma and Erich loved to travel and trips included Alaska, Nova Scotia, Caribbean cruises and Germany. Norma's most memorable journey was to the Holy Lands. She was a talented pastel artist and also enjoyed crocheting, tatting, sewing, quilting and gardening. Survivors include her sister-in-law, Elizabeth Werth of Reedsburg; nephew, Ron (Anita) Werth of Las Vegas; cousin, Donna (Harvey) Terre of Madison; and many other cousins, family and close friends. She is also survived by her special "girls", Paula (Len) Werner of Mount Horeb, Helene Marsh of Lodi, and Kathleen (Loren) Koller of Corvallis, Ore., and their families who loved her as a Mom and Grandmother. In addition to her husband Erich, who died in 1982, she was preceded in death by her brother, Harold Werth; sister, Erma Werth Brown; and nephews, Reg and Keith Werth. Funeral services will be held at noon at IMMANUEL LUTHERAN CHURCH, 102 Spaight St., with Pastor Peter Brinkman officiating. Burial will be in Roselawn Cemetery. Visitation will be at the church one hour prior to the service. In lieu of flowers, memorials may be made to HospiceCare Inc., Meriter Health Center or Immanuel Lutheran Church. Heartfelt thanks for the compassionate care by the staff and volunteers at The Don and Marilyn Anderson Hospice Center, Fitchburg and Meriter Health Center. Arthur Werth married Lydia Blank. Married Name Her married name was Werth. Lydia Blank married Arthur Werth. Harold Werth was the son of Arthur Werth and Lydia Blank. Harold Werth died before 2007. Married Name Her married name was Brown. Erma Werth was the daughter of Arthur Werth and Lydia Blank. Erma Werth died before 2007. Phillip Krueger was born circa 1926 at Wisconsin. He was the son of Reinhold Krueger and Emma Gudenschwager. Phillip Krueger died before December 2008. [S373] U.S. Federal Census 1940 U.S. Federal Census, by Ancestry.com, Year: 1940; Census Place: Washington, Sauk, Wisconsin; Roll: T627_4523; Page: 5B; Enumeration District: 56-40. Married Name 19 September 1953 As of 19 September 1953,her married name was Meyer. 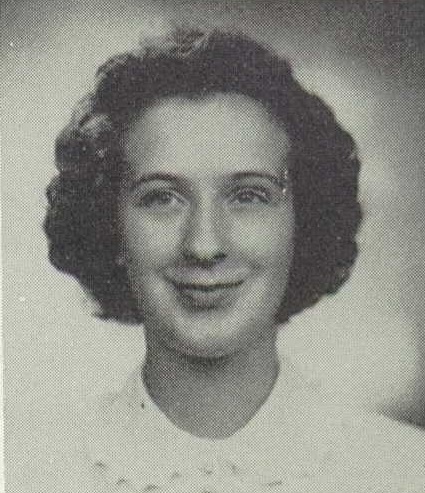 Lorraine L. Krueger was born circa 1933 at Wisconsin. She was the daughter of Reinhold Krueger and Emma Gudenschwager. Lorraine L. Krueger married Norbert W. Meyer, son of Reinhard Meyer and Emma Meyer, on 19 September 1953. Lorraine L. Krueger died on 6 April 2006. Lorraine L. Krueger graduated in 1950 at Reedsburg High School, Reedsburg, Sauk, Wisconsin. Norbert W. Meyer was born on 21 May 1929 at Sauk, Wisconsin. He was the son of Reinhard Meyer and Emma Meyer. Norbert W. Meyer married Lorraine L. Krueger, daughter of Reinhold Krueger and Emma Gudenschwager, on 19 September 1953. Norbert W. Meyer died on 8 December 2013 at age 84 Norbert W. Meyer, age 84, formerly of Madison, died Sunday morning, December 8, 2013 at the Sonrisas Adult Family Home in Verona. He was born on May 21, 1929 in the Town of Excelsior, Sauk County, the son of Reinhard and Emma (Meyer) Meyer. On September 19, 1953 he was united in marriage to the former Lorraine L. Krueger. Norbert and his family moved to Madison in 1965. He worked for H & H Electric for 29 years until his retirement. Norbert enjoyed fishing in his spare time. He was a faithful member of Christ Memorial Lutheran Church in Fitchburg. Survivors include three children: Duane (Melody) Meyer, of Rochester, MN; Dale (Sheila) Meyer, of McFarland and Donna Meyer, of Verona; two grandchildren: Lance (Heather) Meyer and Arielle (K.C.) Golfinopoulos; two step-grandsons: Brian (Amy) Aakre and Sean Aarke; three great- grandchildren: Zachary, Jacob and Chloe; one brother: Merlin (Polly) Meyer, of Reedsburg; two sisters: Pearl Wilburn, of Reedsburg and Avonda Giese, of Baraboo; nieces and nephews; other relatives and friends. He was preceded in death by his wife, Lorraine, on April 6, 2006; three sisters: Ruth Clark, Adeline Ewing and Elsie Berning; and one brother: Gerald Meyer. Funeral services will be conducted at 11:00 A.M. on Monday, December 16, 2013 at CHRIST MEMORIAL LUTHERAN CHURCH, 2833 Raritan Road in Fitchburg with Pastor Jeff Meyer officiating. There will be a visitation from 2:00 P.M. to 5:00 P.M. on Sunday at the HOOF FUNERAL HOME in Reedsburg and from 9:30 A.M. until the time of the service on Monday at the church. Graveside services will be at 3:00 P.M. on Monday at St. Peter's Lutheran Cemetery in Reedsburg. The Hoof Funeral Home is serving the family. Baby boy Gudenschwager died on 29 May 1894 at died not survive birth, Ironton, Sauk, Wisconsin. He was born on 29 May 1894 at Ironton, Sauk, Wisconsin. He was the son of Frank F. Gudenschwager and Emma Harnish. Married Name circa 1930 As of circa 1930,her married name was Gudenschwager. Louise Alma Krueger was born on 16 September 1910 at Wisconsin. She married Walter O. Gudenschwager, son of Frank F. Gudenschwager and Emma Harnish, circa 1930. Louise Alma Krueger died on 9 January 1984 at Sauk, Wisconsin, at age 73. [S250] U.S. Federal Census 1930 U.S. Federal Census, by Ancestry.com, Year: 1930; Census Place: Washington, Sauk, Wisconsin; Roll: 2609; Page: 5A; Enumeration District: 38; Image: 502.0. Married Name 27 June 1964 As of 27 June 1964,her married name was Herzing. Carol J. Gudenschwager was born on 4 September 1944 at Richland, Wisconsin. She was the daughter of Alfred F. Gudenschwager and Alrine Vila Giese. Carol J. Gudenschwager died on 1 December 2003 at age 59 Carol J. Herzing, age 59, of Hillpoint, died on Monday, Dec. 1, 2003, in the Wisconsin Dells Health and Rehab Center with her family by her side following a courageous battle with cancer. She was born on Sept. 4, 1944, in Richland Center, the daughter of Alfred and Alrine (Giese) Gudenschwager. She was a 1962 graduate of Weston High School. On June 27, 1964, she was married to Charles A. Herzing. Carol worked at the True Value store in Reedsburg for many years. She enjoyed cooking and was very devoted to her family and friends. She was a member of St. John's Lutheran Church and its Ladies Aide. Survivors include her husband, Chuck; three daughters, Julie (Larry) Unbehaun of Hillpoint, Janet (Jeff) Mueller of Portage, and Joan Herzing of Madison; her father, Alfred Gudenschwager of Loganville; four grandchildren, Chris, Jackie, Ryan and Randy; two brothers, Lyle (Delorse) Gudenschwager of Adams, and Philip (Ruthann) Gudenschwager of Janesville; her mother-in-law, Beulah Herzing of Cazenovia; her sister-in-law, Cherylene (Charles Tom) Volz of Cazenovia; her best friends, Joe and Connie Meyer of Reedsburg, and Paul and Barb Denman of Richland Center; nieces and nephews; other relatives and friends. She was preceded in death by her mother, Alrine, in February 1987; a sister-in-law, Katharina Gudenschwager; and her father-in-law, Clarence Herzing. Funeral services will be conducted at 11 a.m. on Friday, Dec. 5, 2003, at ST. JOHN'S LUTHERAN CHURCH, Hillpoint, with the Rev. Richard Agenten officiating. Interment will be in St. Paul's Lutheran Cemetery, Willow Township, Richland County. The family will receive friends from 4 p.m. until 8 p.m. on Thursday, Dec. 4, 2003, at HOOF FUNERAL HOME, Reedsburg. Name Variation Delorse H. Spurrier was also known as Dee. Name Variation Delorse H. Spurrier was also known as Delores. Married Name 5 September 1951 As of 5 September 1951,her married name was Gudenschwager. Delorse H. Spurrier was born on 22 June 1934. She was the daughter of Francis Spurrier and Beatrice Bradley. Delorse H. Spurrier died on 12 October 2012 at age 78 Delorse H. "Dee" Gudenschwager, age 78, of Reedsburg, died on Friday, October 12, 2012 at the Golden Living Center in Wisconsin Dells. She was born on June 22, 1934 in LaValle, the daughter of Francis and Beatrice (Bradley) Spurrier. On September 5, 1951, she was married to Lyle G. Gudenschwager. Dee and Lyle managed the Maple Aire Trailer Park for many years. She enjoyed cooking, bowling, dancing, socializing and riding her Gold Wing motorcycle. Dee was active with 4-H and the Gold Wing Club. She was a loving wife, mother, grandmother and great grandmother who enjoyed spending time with her family. Survivors include her husband, Lyle; two daughters: Pam Wollin (Harlan Westedt), of Loganville and Linda Stromberg (Jim Raupp), of Baraboo; five grandchildren: Marc (Kristy) Drager, Joe (Megan) Osborn, Brad (Brenda)Wollin, Erik (Tammy) Knull and Kelli (Nate) Harshbarger; fourteen great grandchildren; two brothers-in-law: Phillip (Ruth Ann) Gudenschwager, of Mount Sterling and Charles Herzing, of Cazenovia; nieces and nephews; other relatives and friends. She was preceded in death by her parents; her sister: Sylvia Schwartz; her brother: Virgil Spurrier and two great grandsons: Hunter Osborn and Marcus Carroll. Funeral services will be conducted at 11:00 A.M. on Tuesday, October 16, 2012 at Trinity Baptist Church in Reedsburg with Pastor Michael Lopp officiating. Interment will be in the Cole Cemetery. The family will receive friends from 4:00 P.M. to 8:00 P.M. on Monday at the Hoof Funeral Home in Reedsburg and from 10:00 A.M. until the time of the service on Tuesday at the church. The Hoof Funeral Home is serving the family. Married Name Her married name was Herzing. Beulah (?) married Clarence Herzing. Beulah (?) died after December 2003. Clarence Herzing married Beulah (?). Clarence Herzing died before December 2003. August Carl Krueger was born on 16 April 1873 at Germany. He married Ida Wilhelmina Giese, daughter of August George Giese and Emilia Fredricke Mellenthin, circa 1910. August Carl Krueger died on 17 November 1946 at age 73. Name Variation George Krueger was also known as Georg. George Krueger was born circa 1910 at Wisconsin. He was the son of August Carl Krueger and Ida Wilhelmina Giese. George Krueger died before 2005. Married Name Her married name was Walser. Adeline Krueger was born circa 1914 at Wisconsin. She was the daughter of August Carl Krueger and Ida Wilhelmina Giese. Adeline Krueger died before 2005. Married Name Her married name was Endres. Edna Krueger was born circa 1917 at Wisconsin. Edna Krueger died before 2005. Cecil R. Krueger was born on 5 September 1918 at Wisconsin. Cecil R. Krueger married Clara Maria Lucht on 20 November 1940. Cecil R. Krueger died on 31 January 2005 at age 86 Cecil R. Krueger, age 86, of Troy Township, died peacefully at his home, with his family by his side on Monday, Jan. 31, 2005. He was born on the family farm on Sept. 5, 1918, the son of the late August and Ida (Giese) Krueger. He was baptized on April 2, 1919. He was united in marriage to Clara Maria Lucht on Nov. 20, 1940, in LaValle. Their marriage was blessed with three children. Cecil farmed his entire life on the home farm where he was born and raised, before retiring in 1994. He is survived by his wife, Clara Krueger of rural Prairie du Sac; a son, Robert (Marcella) Krueger of Algoma; a daughter, Rosalyn Kenyon of Cape Coral, Fla; three grandchildren, Patrick (Heidi) Krueger of Verona, Rebecca Dohmeyer of Janesville, and Richard Krueger of Prairie du Sac; a great-grandson, David Dohmeyer a sister, Evelyn Fenne of Edgerton; several nieces and nephews, other relatives and friends In addition to his parents, he was preceded in death by a son, Roger Krueger; a brother, George Krueger; and three sisters, Edna Endres, Adeline Walser and Lorna Miller. A funeral service will be held at HOOVERSON FUNERAL HOME, Sauk City, at 7 p.m. on Thursday, Feb. 3, 2005, with Pastor Bradley Pearson officiating. Burial will be in the Prairie du Sac Cemetery. Friends may call at the funeral home on Thursday, from 4 p.m. until the time of service. Married Name 20 November 1940 As of 20 November 1940,her married name was Krueger. Clara Maria Lucht was born on 17 December 1917 at Sauk, Wisconsin. She married Cecil R. Krueger, son of August Carl Krueger and Ida Wilhelmina Giese, on 20 November 1940. Clara Maria Lucht died on 28 July 2013 at Sauk, Wisconsin, at age 95. Roger Krueger was born in 1947. He was the son of Cecil R. Krueger and Clara Maria Lucht. Roger Krueger died on 14 August 1962. Lorna Krueger was the daughter of August Carl Krueger and Ida Wilhelmina Giese. Lorna Krueger died before 2005. Married Name 26 April 1947 As of 26 April 1947,her married name was Sherwood. Ruth Margaret Meyer was born on 13 November 1919 at Wisconsin. She married Kenneth Samuel Sherwood, son of Joseph Dyer Sherwood and Laura E. Magli, on 26 April 1947. Ruth Margaret Meyer died on 28 March 2013 at age 93 Ruth Margaret Sherwood, 93, of La Crescent, died peacefully surrounded by her loving family on Thursday, March 28, 2013 at the Gundersen Lutheran Medical Center. She was born on November 13, 1919 in Ridgeland, WI to Oscar and Elizabeth (Wirth) Meyer. Ruth graduated from Barron High School, Dr. Martin Luther College in New Ulm, MN, and Winona State University and taught at the La Crescent Elementary School for many years. She married Kenneth S. Sherwood on April 26, 1947 in Ridgeland, WI. Ruth was a longtime member of First Ev. Lutheran Church in La Crescent, where she served as organist for many years and was active in Ladies Aid and bible studies and enjoyed her extended church family. She was a member of the La Crescent Retired Teachers, and had served as an election judge as recently as the 2012 presidential election. Ruth is survived by five children, Janet (Leonard) Alcamo of Fountain City, WI, Jane (Sherwin Rudman) Sherwood of Madison, WI, Jerry (Alexis Ludewig) Sherwood of Little Chute, WI, Joseph (Cindy) Sherwood of Green Bay, WI, and Jeffrey (Barbara) Sherwood of La Crosse, ten grandchildren, Lee and Derek Alcamo, Julie Westerlund, Andrew Mueller, Steven, Michael and Jonathan Sherwood, and Adam, Beth and Erin Sherwood, seven great-grandchildren, Shae, Jack, Max, Mackenzie, Madilyn, Carson and Cadence, several nieces and a nephew. She was preceded in death by her husband Kenneth, her parents, and two sisters, Violet and Hazel. Funeral services will be held on Thursday, April 4th, 2013 at 11:00 AM at First Ev. Lutheran Church, La Crescent. Pastor Chris Christenson will officiate. Burial will be in the Prospect Hill Cemetery. Friends may call at the Schumacher-Kish Funeral Home and Cremation Service, La Crescent Chapel on Wednesday from 5:00 8:00 PM and at the church on Thursday from 10:00 AM until the time of services.